Approaching the last module of EDUC4151, I was asked to list some practical factors to consider when planning an online course. Here are the four factors that I believe are most crucial in the process of planning. There are many hidden aspects of quality that I might not be aware of or might miss while developing my online courses. For effective design, I need to start by developing my own quality guidelines driven from the course specific learning objectives, these objectives should clearly outline the expectations for learners’ behaviors, performances, and understanding. And hence, while designing my own personalized guidelines, I would be able to correlate between the course outcomes and my quality domains, elements, and processes. Poor usability and design can be “a stumbling block” (Hainline, 2015, December 17) to e-learning. Indeed, it is an added complexity to the learner experience and can deter online learners from continuing their courses at earlier stages. Expectations, for instance, learning objectives, grading policies, required materials, guidelines for participation and collaboration should be clear and explicit. It is highly recommended that course content to be organized into modules in a logical manner (Hainline, 2015, December 17). Each module/unit should have an explicit title and a hierarchical structure similar to site maps to sequence all the related information. Learners should be able to easily access important parts of the course for example the syllabus, assignments, lectures, announcements etc. The design should also include a variety of materials such as articles, videos, podcasts, games, etc., (Hainline, 2015, December 17) to engage different learning styles. Additionally, I should consider how to design to enable learners to easily interact with technology, one another, and with educator i.e. myself. The sense of isolation is one of the prevalent factors that leads to failure in e-learning setting (Palloff & Pratt, 2007). Accordingly, there is a crucial need for the online courses to be delivered in such a way as to create a learning community among students and the instructor (Hanover Research Center , 2009, July). To model online community, I need to pay attention to define the rules for participation and for maintaining a safe environment as well as the roles of the community members. One of the parameters that highly contribute into developing a community is educator’s role. When educators can be seen and heard from the first instant of the course showing a feeling of belonging to the course members, learners will respond the same way (Kelly, 2008, August 11). My presence should be planned and built into the design of an online course, for instance, planning the number of hours I would dedicate daily to monitor learners’ participation and respond to their replies and inquires. Technology is a fundamental component in online learning. 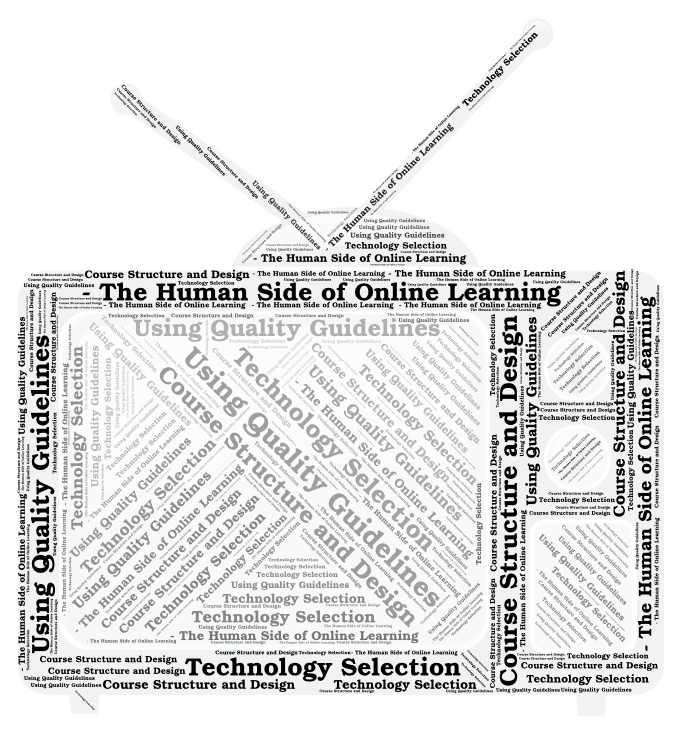 One of the most important aspects of planning and managing online courses is educators‘ recognition of the fact that although there are a wide array of educational technologies and tools available for online teaching, not all of these technologies are appropriate matches to the subject taught and the pedagogical model and teaching strategies (Hanover Research center, 2009, July). And thus, there is a need to utilize criteria for media selection. Models such as the bates’ SECTIONS can support novice educators like myself to make the right decisions in this area at the instructional level, further, it can support choices at institutional level (Bates, 2015) . One key advantage of relying on this model is that it is holistic, and hence, it can accommodate any new development in technology at any given context (Bates, 2015) . This entry was posted in Online Instruction and tagged course, factors, online, planning on February 26, 2018 by Marwa Kotb. What are Some of the Ways to Provide Instructor Presence in an Online Course? Self-Disclosure : Who am I as an Online Learner?